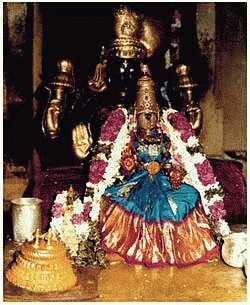 In our ancient religious scriptures like puranas, Goddess ' Mahalakhsmi ' temple is also called as Dakshin Kashi. It is also a shakti Peeth. 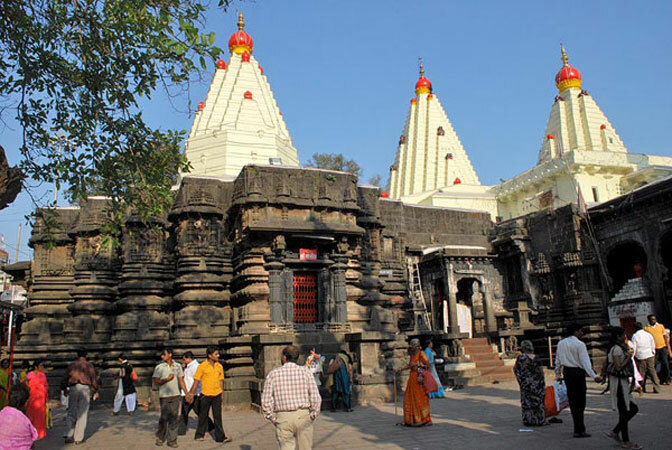 Mahalakshmi Temple is situated in Kolhapur district of Maharashtra, which was also known as karvir in ancient times. It is amongst those place known for salvation of one's desire or its attainment. People from all over Maharashtra throng the temple to be blessed by the divine powers. Temple is also accustomed to practice various daily rituals like : worship five times a day, which starts from 5am in morning, which goes on till evening. Goddess Mahalakshmi was one amongst jewel which was churned by the Gods and demons. Temple is well connected by roadways and railways. The history of the temple date backs to 109 AD, and the Mahalakshmi temple was discovered by 'Karnadeo'. The Mahalakshmi temple was affected by earthquake during 8th Century, and King Gandavadix was responsible for its reconstruction and extension. Mahalakshmi Temple is endowed with contribution by ancient rulers like :King Tolum, Raja Jaysingh, Shankaracharya and Shilaharas. Once during 1712-1792, on the basis of dream of Narhar Bhat Shastree, Sambhaji started search for idol which was hidden to protect it from Mogul Invasion, and found in Kapil Teerth Market. Sindhoji Hindurao Ghorpade was responsible to place the idol in the temple. The people coming to temple grew by leaps and bounds, and in the mean time. Goddess Lakshmi became the principal deity of the region of Maharashtra. 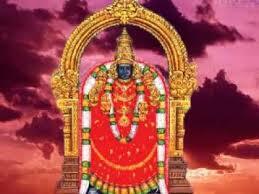 Mahalakshmi Temple is very close to the heart of Lord Vishnu, because it is abode of Goddess Lakshmi. The reason for ' Goddess Mahalakshmi' leaving Vaikuntha and arriving at kolhapur was, Lord Vishnu was unable to punish sage Bhirju for having indecent behavior . 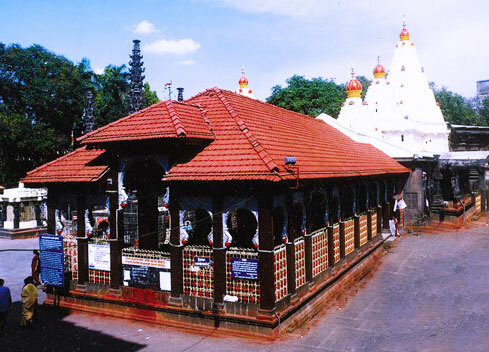 Once Goddess Mahalakshi had performed penance in kolhapur for Lord Vishnu .The holiness of Goddess mahalakshmi attracted many saints and sages to this place . Goddess statue in Mahalakshmi Temple is made in Gemstone, which is considered to be from ancient time and it is very heavy . Statue of Goddess embraced with things like : large mace, kaumodaks, bowl and khetaka . Goddess Lakshmi have cobra in her crown and her vahana 'lion' on the back side. This statue embarks a feeling of divinity among the devotees. Goddess Mahalakshmi statue faces west, which is unique from any other Mahalakshmi statue. 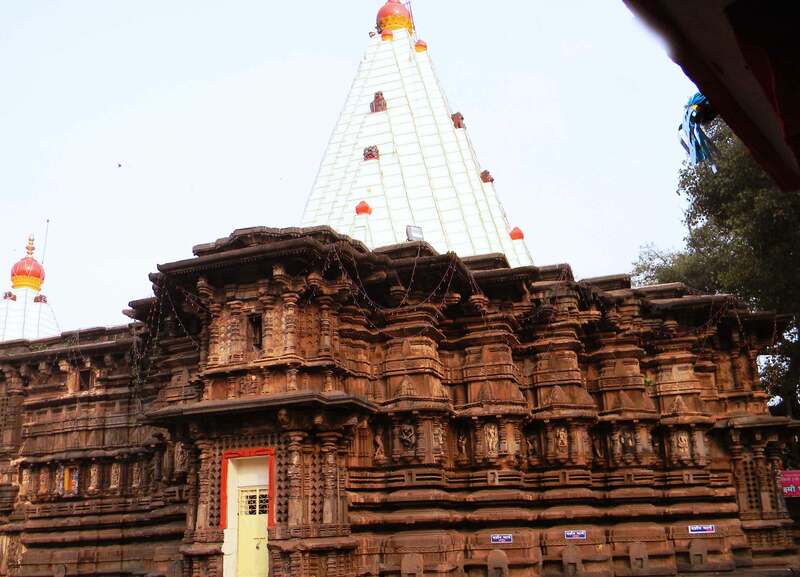 'Kiran Utsav' is the most prominent festival of Mahalakshmi Temple during some specific days. It is being said that Goddess Lakshmi is the symbol of prosperity, fame and wealth for all the mankind. The architect of the temple designed temple in a such a way that while setting, sun rays directly falls on Goddess Lakshmi feet from a window. The Sun God pays respect to Goddess by falling on goddess feet and body during the month of January. People come here from all over Maharashtra to experience the magnificent ode to Goddess Mahalakshmi. Apart from this Navratra and Rathotsav are celebrated in temple premises with great pomp and zeal.